There is nothing funny about being diagnosed with cancer. Thanks to improvements in treatments and research, more and more people are surviving cancer. But for me, simply surviving was not enough. I didn’t want to just survive cancer; I wanted to crush it. Since I couldn’t do that, the next best thing was to laugh at it. After all, what could be more demoralizing to an enemy than to laugh at them? 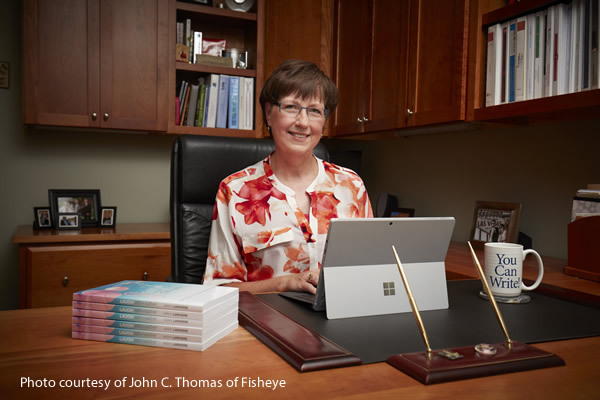 This book is intended to be a lighthearted, quirky look at surviving breast cancer. I have always been creative in how I celebrate life. My friends are sometimes confused by my creative party invitations, including one invitation in the form of a subpoena, which caused one friend to contact her attorney. Sometimes that creativity has gotten me into trouble, like the time I poked fun at Homeland Security on my blog, and they e-mailed me about my comments. My best friend, Tess, an attorney, couldn’t stop laughing when I called her in a panic when I received the e-mail. So it should have been no surprise to my friends when I decided to face breast cancer with humor. Read along as I blow up pumpkins, throw eggs, and use my bald head to shame bad drivers. Laugh with me as I thumb my nose at some of cancer’s indignities and challenge cancer at every twist and turn of this unpredictable journey called breast cancer. Spoiler alert: if you are the type of person who likes to jump to the end of a book and find out what happens, this line is for you—I survived! 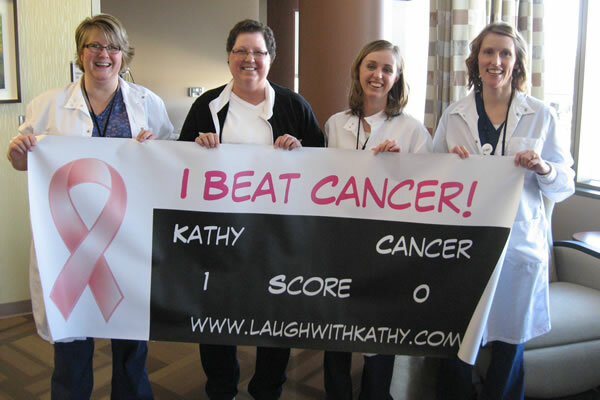 I originally wrote Laugh with Kathy as a blog while I was going through the diagnosis and treatment of breast cancer. I used the blog to sort out and share my experiences with my friends and family. Over time, more and more people started following the blog and asking me to convert it into book format so that they could share it with others. But it wasn’t until I started getting e-mails from other breast cancer patients telling me I had made their day that I considered publishing a book. Most of the writing in this book comes directly from the blog, with only minor clarifications or grammatical corrections. I have added some new posts that were never published on the blog. Some of the new posts are retrospective in nature, while others I wrote during treatment and never published because I wasn’t ready to share them at the time. Laugh with Kathy may be purchased in paperback through Amazon.com, CreateSpace, or ordered directly from me. Laugh with Kathy is also available for Kindle on Amazon. Please see my Shop Page for ordering instructions and links. Kathy is now available to speak to survivor groups, church groups, community groups, libraries and other venues. You may contact her below for more information.